In Los Angeles in 1988, a 16-year-old girl disappeared from her home and was later found dead of a gunshot wound to the chest. The death appeared at first to be a suicide, but some of the evidence contradicted that scenario, and detectives came to believe this was in fact a murder. Despite a by-the-book investigation, no one was ever charged.Now Detective Harry Bosch is back with the LAPD with the sole mission of closing unsolved cases, and this girl's death is the first he's given. A DNA match makes the case very much alive again, and it turns out to be anything but cold. 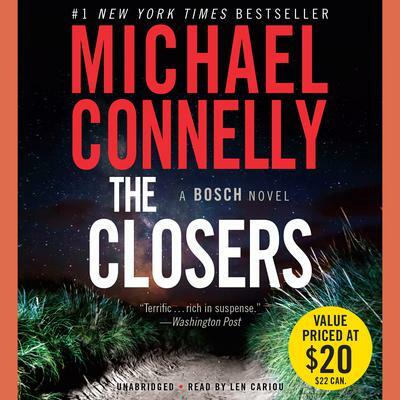 The ripples from this death have destroyed at least two other lives, and everywhere he probes, Bosch finds hot grief, hot rage, and a bottomless well of betrayal and malice.